USCDM: The University of South Carolina Dance Marathon hosted their annual Dance Marathon event on Saturday, March 2nd from 10am-12am. Over 1,200 students came together to raise funds in support of the Child Life Specialist program at Prisma Health – Midlands. This year, USCDM was able to raise $1,038,156 for the kids across the state of South Carolina. Credit Unions for Kids is the charity of choice for America’s Credit Unions, raising over $185 million in the past 23 years. They raise funds through grassroots campaigns, nationally executed initiatives, and special events. Some of the more successful fundraisers are the NW Golf Classic, Wine Auction, NWCUA Gala, Cherry Blossom Run, SacTown 10, Miracle Jeans Day, Skip a Pay, and more. Starting in 2019, credit unions will expand their fundraising success by implementing a home banking campaign (Give on the Go) and employee giving through payroll deductions. DM at FSU: In it’s 24th year, Dance Marathon at Florida State University challenged their community to “Be The Next” through their yearlong campaign – the next team member, participant, donor, volunteer, fundraiser, etc. all in the hopes of raising more money for their local Children’s Miracle Network Hospital than ever before. 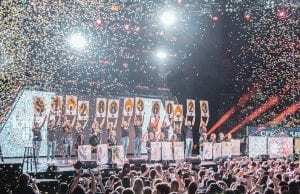 An incredible total of $2,210,165.21 raised was revealed at the end of their annual 40 hour event because of the dedication, commitment and passion of thousands of Florida State University students. Congratulations DM at FSU and welcome to another year in the Miracle Million Club. 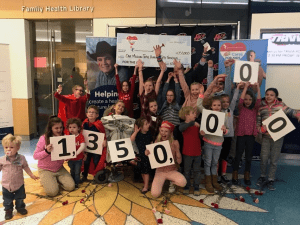 ALICE 105.9 raised over $1,350,000 to benefit the Children’s Hospital Colorado through ALICE 105.9’s 18th annual “ALICE Cares for Kids Radiothon” in Denver. This year’s fundraiser brings the 18-year total for the radiothon to more than $24 million. 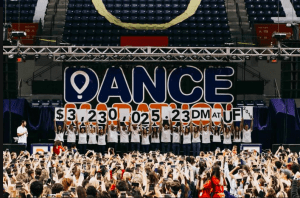 DM at UF: This year Dance Marathon at the University of Florida celebrated their 25th anniversary with a yearlong campaign entitled “when we believe” highlighting the remarkable things their community is able to accomplish when they believe in their impact and in this cause. Thousands of UF students gathered on March 30th & 31st for over 26 hours in celebration of their yearlong efforts of raising funds and awareness for their local Children’s Miracle Network Hospital, UF Health Shands Children’s Hospital. At the end, the students at UF revealed a total raised of $3,230,025.23. DM at UF, congratulations on a record breaking 25th year & thank you! KNIGHT-THON: This year thousands of UCF students came together as Knight-Thon to raise $1,288,360.23 for Orlando Health Arnold Palmer Hospital for Children. With the message to the community of “This is Why” Knight-Thon encouraged its community members to find the reason “why” they continue to support and advocate for this movement. Whether a student joined because of their connection to the cause, to dance with friends, or to be a part of something new, each student was able to develop an individual connection to their mission of providing hope, healing, and compassion to children treated at their hospital. 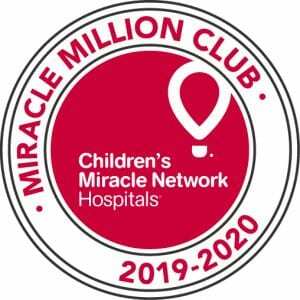 Knight-Thon, thank you for showing us your “why”and congratulations on earning your spot in the Miracle Million Club for another year. Mix 106.5 Baltimore: At their 30th Annual Radiothon they hit their Million Dollar mark! They not only raised a record $1,.3 million but that was a 17% increase over last year’s total!